Construction has started on a much-needed new development of 44 affordable Stonewater village homes in Houghton Conquest near Bedford. Stonewater, a leading social housing provider in the region, is financing the £6.5m mixed scheme of 27 low-cost rental and 17 affordable shared ownership properties in Chapel End Road. The new homes are part of Meadow Croft, a wider development of 125 dwellings by housebuilder Kier Living. Stonewater’s new affordable housing community will provide a mix of four one-bedroom apartments, and eight two-, 11 three- and four four-bedroom houses all for affordable rent. A further eight two- and nine three-bedroom houses will be offered for low-cost shared ownership – a part-buy, part-rent scheme which aims to help first time buyers onto the property ladder. The energy-efficient homes will each have private back gardens and good parking provision. The Chapel End scheme is also providing hands-on construction training opportunities for two apprentice bricklayers from The Prince’s Trust. Stonewater’s delivery partners are Kier Living and Central Bedfordshire Council. 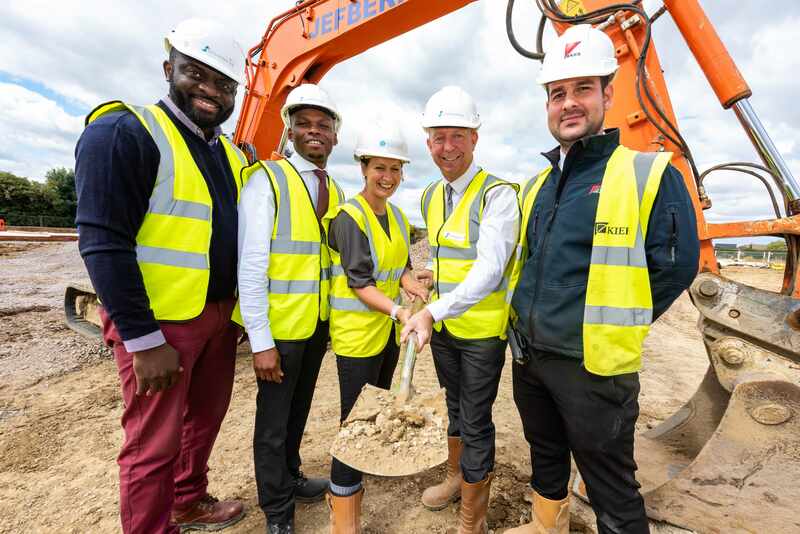 Pictured above from left to right are Victor Inegbese, Stonewater Sales Executive; Evans McBruce, Stonewater Development Officer; Sally Robbie, Thornton-Firkin Senior Surveyor; Stuart Bennett, Stonewater Development Manager and Alex Smith, Kier Living Site Manager.